^ 1.0 1.1 1.2 Hugman, Barry J. (编). The PFA Footballers' Who's Who 2006–07. Mainstream Publishing. 2006: 228. ISBN 978-1-84596-111-4. 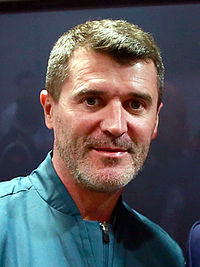 ^ Keane appointed Ipswich manager. BBC Sport. 2009-04-23 [2009-04-23] （英语）. ^ Cardiff 0-3 Ipswich. BBC Sport. 2009-04-25 [2009-05-04] （英语）. ^ Ipswich 2-1 Coventry. BBC Sport. 2009-05-03 [2009-05-04] （英语）. ^ Roy Keane sacked as Ipswich manager. BBC Sport. 2011-01-07 [2011-01-07] （英语）.